Only one in every 100 doping samples tested worldwide, across all sports, comes back positive. And many of those that do come back positive are for recreational drugs with negligible performance-enhancing effects, like cannabis. There are some in the anti-doping industry - and it is now an industry - who wonder why, if the point is to stop cheats, we bother testing for drugs that are deemed not to enhance performance. And when it costs £65,000 for each positive, there are those who wonder why we bother testing for drugs at all. That is not, however, a position any major sport can hold publicly. What's more, the current trend is to increase the number of tests, not reduce or abandon them altogether. Which is why the 4,500 samples taken at the 2008 Olympics in Beijing became 6,000 at London 2012 - a test for almost every other athlete, at a rate of 400 a day. With samples frozen to enable re-testing when new detection methods are found, you can never close the book on an event until the eight-year statute of limitations has passed. Nevertheless, the current return on those 6,000 tests is 14 positives. What about football, the most popular sport on the planet? In 2010, for the last World Cup in South Africa, world governing body Fifa took 576 samples - 320 in the two-month period before the competition and 256 at the tournament itself. The idea was to test at least eight players from each squad "out of competition" and the rest "in competition", on a two-per-team-per-match basis. Undeterred, Fifa will raise the ante at the next year's World Cup in Brazil. It will conduct approximately 1,000 tests - collecting out-of-competition samples from all 736 players and carrying out at least another 256 in-competition tests as well. Very thorough - but then it is worth noting that 622 samples were taken at this year's Tour de France, which equates to more than three per rider. Oh, and there were no positives there either. Does that mean football and cycling do not have a drugs problem? Clearly not, but it does leave the World Anti-Doping Agency (Wada), the body set up in 1999 to coordinate the fight against drugs cheats, in a quandary. Recent scandals involving the likes of cyclist Lance Armstrong, baseball player Alex Rodriguez and Australian rules football team Essendon Bombers have once more shown that famous athletes are human beings with all the character flaws that afflict the human condition. But actual testing played little part in their cases. Confessions, police work and whistle-blowers did for them, as they did for another baseball star Barry Bonds, sprinter Marion Jones and the cycling clients of Dr Eufemiano Fuentes. Which is why Wada, in full self-flagellation mode, published a report earlier this year entitled "Lack of Effectiveness of Testing Programs". Its findings were straightforward, but shocking. "The primary reason for the apparent lack of success…does not lie with the science involved," it said. "The real problems are the human and political factors. There is no general appetite to undertake the effort and expense of a successful effort to deliver doping-free sport." The report identified failings at every link in the chain: athletes, governments, laboratories, national anti-doping agencies, sports federations and Wada itself. Too many people were paying lip service to the rules. Football is frequently held up by amateur anti-dopers as an example of a sport in denial about the scale of its doping problem. That might be true given that football does not believe it has a doping problem at all, which common sense tells you is unlikely. Wrongly imagining itself drug-free is not the same thing, however, as being a sport with a serious doping problem. Fifa and national anti-doping agencies, primarily in Europe and South America, test 30,000 samples from footballers each year. So far, there have been no positives for the drug that almost ruined cycling, EPO, and barely 100 failed tests in total. And yet we know blind faith in negative tests is unwise. Many experts believe football probably does not do enough testing anyway, given its global popularity. We also know that the disgraced Dr Fuentes boasted about his "treatment" of footballers, that French senators recently investigated alleged doping in French football, and that a German study laid bare years of amphetamine use in West German football. But Fifa, to its credit, has finally realised - like governing bodies in athletics and cycling before it - that simply doing an unprecedented number of tests around a big event is not the best way of ensuring the good guys don't get cheated. Starting with the 2011 Club World Cup and continuing at this summer's Confederations Cup, Fifa has been collecting samples to develop biological profiles, or athlete passports, for the world's leading players. The passport approach is different from traditional tests in that, rather than looking for a certain substance, you are instead looking for variations from an established norm. The rationale is that the body reacts to foreign substances in measurable ways. For example, if you artificially boost your red blood cell count or testosterone, your body will suppress its own production of these things. Another giveaway might be that the normal physiological signs of extended exercise do not occur. The introduction of athlete passports for all sports was one of the Wada report's recommendations. They are viewed as the best protection sport has against whichever new, undetectable drug is on the market. They also mean no test is ever truly wasted because they all help to build a profile. If that is not good enough, they come with Armstrong's approval, as the disgraced Texan told Oprah Winfrey: "The shift to out-of-competition testing and the biological passport really worked." Professor Jiri Dvorak, Fifa's chief medical officer since 1994, acknowledges this is just a start but says football is determined to build blood and hormone profiles for the world's top players. He is also inviting anti-doping experts from around the world to a conference at Fifa's Zurich headquarters at the end of November. "Nobody knows how many times you need to test," he says. "Really, we are all at the beginning. But sport is testing 250,000 samples every year and we should ask whether we are spending that money wisely. In a hospital, you would do a cost analysis and ask this question. "The human body is complicated… but biological passports offer more solid data. They are the most rational approach." A more rational and systematic approach by football should go some way to silencing the doubters, but before that happens Dvorak needs to find a laboratory. Earlier this week, Wada announced it was stripping the LADETEC lab in Rio de Janeiro of its status as an accredited facility. 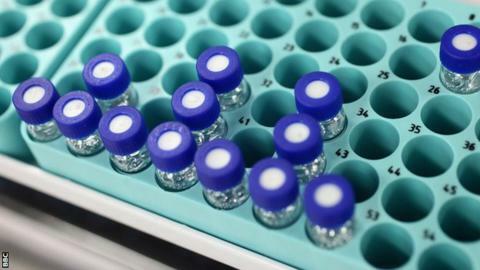 The troubled lab had already served a nine-month suspension last year after it mistakenly accused a volleyball player of doping. But Wada has not revealed the exact reasons why its accreditation has been revoked this time, citing only "repeated failures". This is all very embarrassing for Brazil, with both a World Cup and an Olympics on the horizon. It is also worrying for Fifa. It has been suggested that Dvorak's team could fly their samples to the nearest accredited lab in Colombia, or even Wada's home in Montreal, but it now seems they will look for a solution in Brazil. "There are other possibilities - perhaps Sao Paulo or an adaptation of the lab in Rio," Michel D'Hooghe, the head of Fifa's medical committee, told the Bloomberg news agency on Thursday. "But for the moment, yes, this is a problem for us." So serious a problem, in fact, that Dvorak told me he was cancelling everything else in his diary. Both Brazil and Fifa need to sort this mess out. Having earned the right to stage the world's two biggest sports events, the emerging economic superpower cannot afford to look like it cannot do simple science. And Fifa has to find a credible and cost-effective way of convincing us football really is the beautiful game.